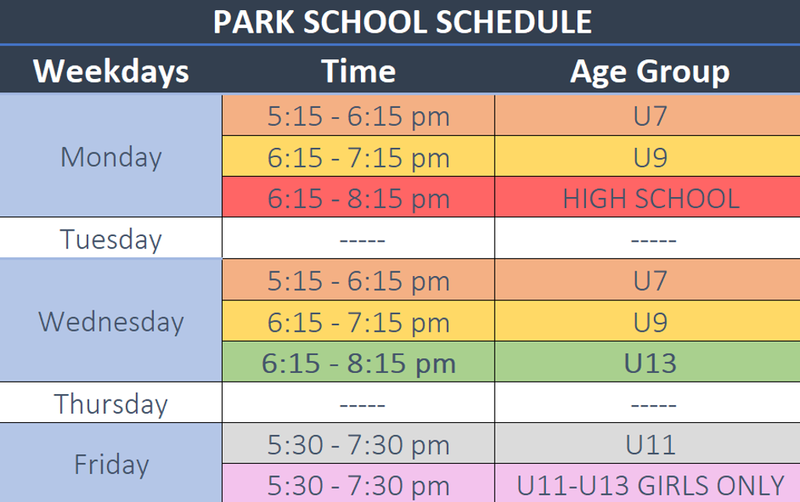 We know everyone wants to be outdoors during this time of year, which is why we decided to bring out FUTSAL PROGRAM OUTDOORS THIS SUMMER! Our Methodology and Futsal Principles will remain the same, along with enjoying the beautiful weather as well. Our summer program is going to focus on many different technical exercises and well as 5v5 small sided games. Our goal is to prepare our athletes to grow in our program and within themselves. This program can be supplementary to your soccer club and ALL PLAYERS ARE WELCOME. It’s time to have FUN and be part of a learning academy that’s focused and dedicated to your child. A welcoming environment that allows teaching and learning in a continuous exchange between coach and athlete. We guarantee the best training sessions that cover everything children and teenagers need to know and achieve before college or a professional level – THE BRAZILIAN WAY! Skills to be developed - Motor ability: balance, agility, and coordination. Perception: insight and awareness. Vision. Problem-solving: choices and decisions. Physical fitness. Psychological domain: fun, enjoyment, and competition. Life skills, group interaction, emotional development. Learning by guided discovery, trial and error by playing FUTSAL, THE BRAZILIAN WAY! TRY FUTSAL!!! YOU WILL LOVE IT! BeArena Uniform (t-shirt, shorts, socks); Included Unless You are Already a BeArena Team Member. JOIN THE 12 WEEK PROGRAM AND GET THE SUPER DISCOUNT FOR THE LONGER TERM! *THE SAME AMAZING TRAINING BUT FOR LONGER WITH US! We made it easier! You can choose to make 3 payments using a credit or debit card. You can select the payment option when you are ready to check out. The three installments will be paid Upon Registration, May and June! We accept only online payments for this season. ©2019 BeArena Sports / SportsEngine. All Rights Reserved.